The Kentucky Distillers’ Association pulls together a pretty mean bar for the Governor’s Derby Eve Gala at the Mansion in Frankfort, Ky., and this year’s was no different. They usually have something new or rare to share. This year, the Rare was literal. 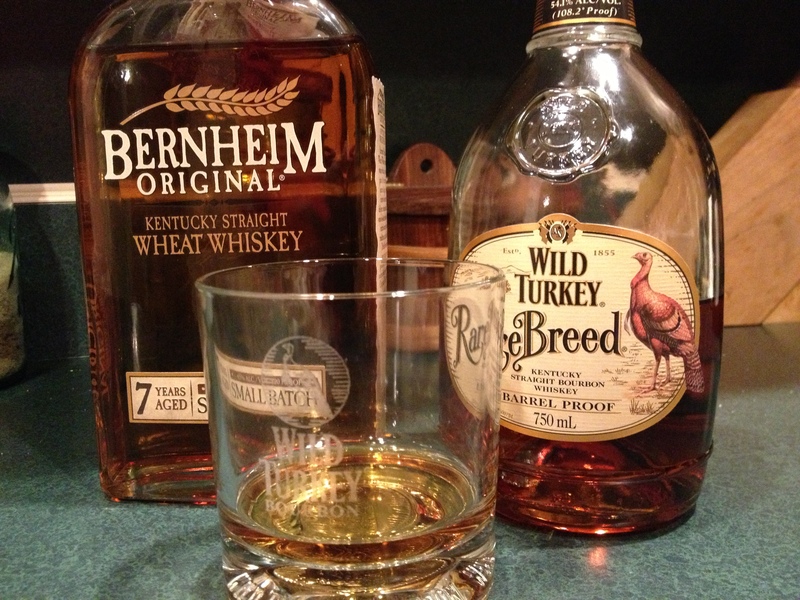 It was this equation: 60 percent Bernheim Original Wheat Whiskey + 40 percent Wild Turkey Rare Breed Barrel Proof = one great pour. The soft wheated whiskey adds a little sweetness to the Rare Breed, pumping up the caramel notes; the Rare Breed adds complexity and a great long finish. I’m calling it the Sweet Bird of Youth. Tennessee Williams would have loved it. UPDATE: It has been brought to my attention that this mix was created by Lloyd Christmas of Bourbon Truth as part of a blind tasting of “favorites and legends,” and held its own against Pappy 20, Four Roses 2013 Limited Edition Small Batch and others. See the results here.